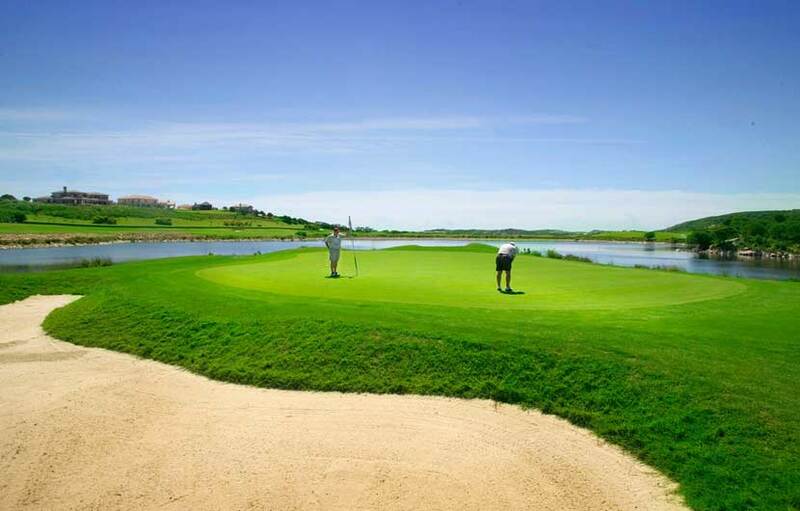 Almenara golf offers three nine holes, each unique and are mixed to form 18 holes depending on availability on the day. All the courses have seen improvements made over the last two years year with extensive work carried out on the courses including the fairways which now have Bermuda grass. 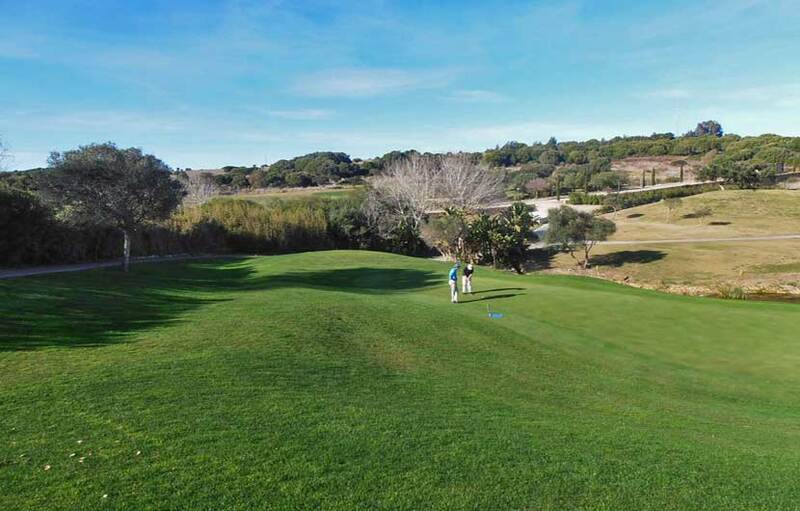 The courses are characterised by wooden terrain of pine trees and cork oaks in the front nine and with water on the back nine. Unless you are exceptionally straight with your shots you are likely to find yourself in both during your round. The excellent conditions of the greens are maintained by cutting them daily using manual machines. 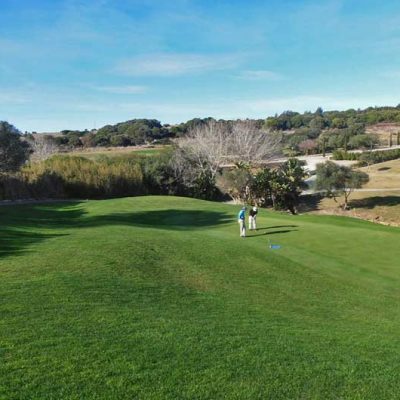 Almenara Golf offers very good value in relation to price – product with some excellent deals to be had in the low season. Two large lakes make it a picturesque course with a floodlit driving range adding to the sparkle of the water in the evenings. The greens are of a good standard but quite small. A challenging golf course with narrow and hilly fairways and typical high lipped fairway bunkers. It is advisable to use a buggy as it is difficult to walk if you are not pretty fit. 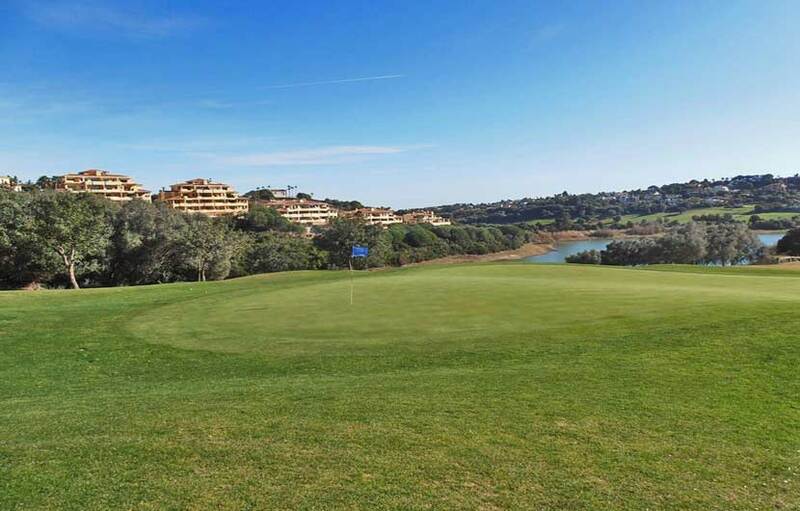 The complex is situated on the Sotogrande estate near the prestigious Valdarrama and San Roque golf courses. 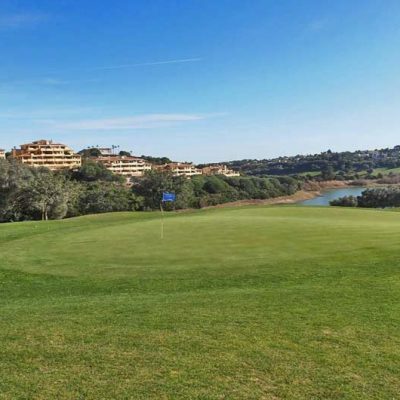 It is well worth playing if you are staying in this area although Almenara golf is more like a little sister in comparison to its more famous neighbours located within the Sotogrande estate. The Almenara golf course is also home to the Almenara School of Excellence with all modern amenities for golf practice. The school has a capacity of 90 players, 3 normal size practice holes, approach and putting areas and a swing video analysis. The Almenara Golf & Spa Hotel is located in the heart of the resort offering spectacular views over the surrounding courses. 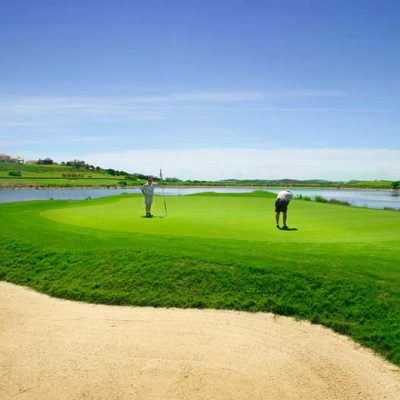 The resort is a popular golf holiday destination for visiting groups who enjoy playing within the prestigious Sotogrande estate. An after round drink at the stunning bar in the club house is advisable.